The price reflects one item.This item must be purchased in multiples of 4. 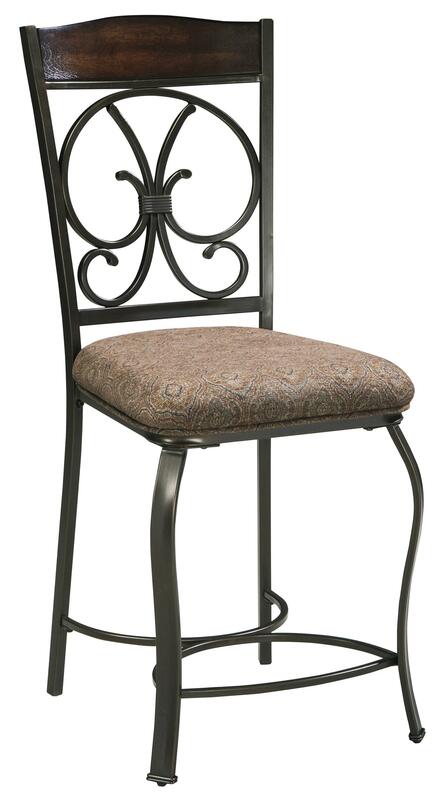 Transitional in style this intricate upholstered counter height bar stool will add an elegant touch to your home. 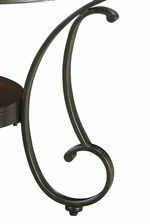 The detailed metal scroll work is finished in a dark bronze powder coat finish. 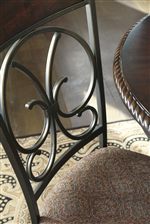 Paired with the multiple tones of the brown cherry wood finish this bar stool will add warmth to your dining space. Pair this stool with the matching round counter table to create a complete look. The Glambrey Upholstered Barstool with Metal Accents by Signature Design by Ashley at Michael's Furniture Warehouse in the San Fernando & Los Angeles area. Product availability may vary. Contact us for the most current availability on this product. The Glambrey collection will add elegance and style to your home with its transitional features. With the use of metal and wood work as well a glass detail this is a very versatile collection. 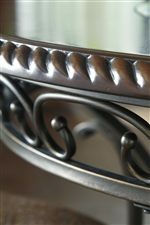 Metal detailing is made from tubular metal in a dark bronze powder coated finish in a scrolling pattern. The wood of the table top has a unique rope twist edge and is finished in a brown cherry over select veneers. The side chairs and bar stools have a beautifully upholstered seat to add comfort. Bring this collection into your home for a casual dining area to impress your guests. The Glambrey collection is a great option if you are looking for Transitional furniture in the San Fernando & Los Angeles area. Browse other items in the Glambrey collection from Michael's Furniture Warehouse in the San Fernando & Los Angeles area.